Oregon�is truly�Multipurpose Opencart Theme�for digital, kitchen tools, furniture, food website with creative design and advanced features. Oregon comes with 4 nice home page layouts, elegant design content and helpful extensions such as: Vertical Megamenu with product categories and pretty thumbnail icons, Megamenu with delivery, legal notice, about us, term and conditions; Daily Deals with countdown timer in each discount product; Products Slider module with new, bestseller, featured, onsale products in each row; Famous logo brands and your logos in Brand Logo Slider. Especially, Category Tabs Slider module shows category with products and images of each module. 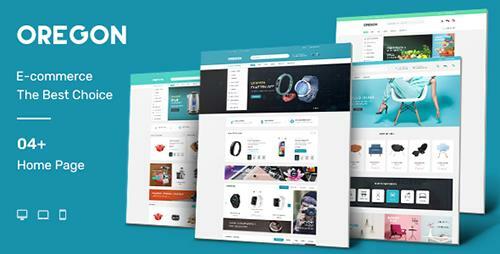 You can show many products and a lot of categories with this module. Thumbnail image of each category with category name also are displayed with Featured Category module. Product Quick View show information of a product with handy popup.